“Someone who does not run toward the allure of love walks a road where nothing lives. But this dove here senses the love hawk floating above, and waits, and will not be driven or scared to safety,” said Rumi. Back in 13th-century there lived a Persian poet who had a profound influence on Muslim writing as well as culture. He is no one else but the most loved Rumi. Even today , centuries later Rumi enjoys a great following across the globe. 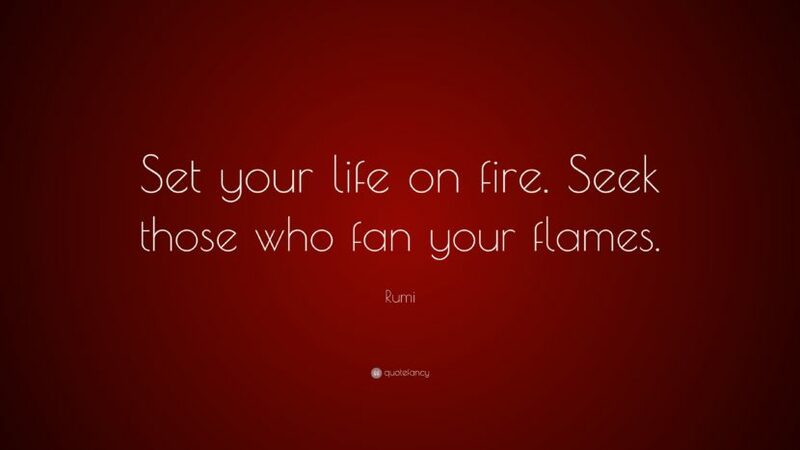 Rumi have put words to quotes that are appreciated for being wise as well as thought-provoking in addition to powerful. His work is so popular that it is translated to diverse languages. To name a few Spanish, Turkish, German, Russian, Urdu, Arabic, French and Italian are the languages in which you can find the work of Rumi. On the occasion of valentine day we are here with a collection of top 10 best love quotes by Rumi. You can post these quotes as status on social networking sites or use them on greeting cards. In a biography of Rumi, Brad Gooch rightly describes him as, “a poet of joy and of love”. All in all, these are the top 10 best love quotes by Rumi. This list remains incomplete in the absence of this beautiful quote, “Come, come, whoever you are. Wanderer, worshiper, lover of leaving. It doesn’t matter. Ours is not a caravan of despair. Come, even if you have broken your vows a thousand times. Come, yet again, come, come.” If we have missed out your favourite love quote by Rumi then feel free to share the same in the comment section below.